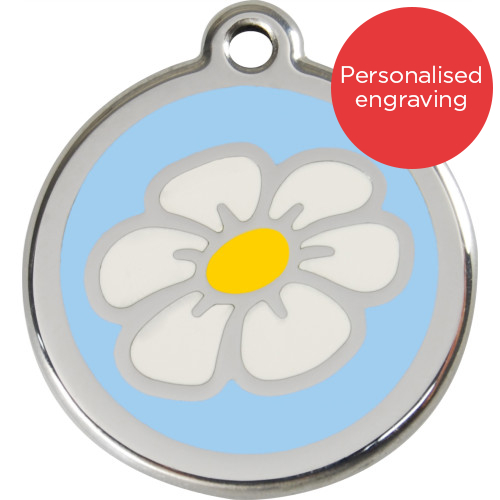 Red Dingo's range of engravable cat ID tags come in a dazzling array of eye catching colours and designs to suit the discerning tastes of even the fussiest felines! Manufactured from stainless steel and enamel, these rugged yet smart tags won't break, rust, or corrode. Red Dingo Cat ID Tags are 20mm in diameter, and sent with love to you, fully engraved by Red Dingo.